Millions of companies rely on Google Analytics to tell them what’s working and what’s not on their websites. Using Google Analytics, marketers are able to see where traffic is coming from and which marketing efforts are leading to the most conversions. They use this information to make important decisions on how to allocate marketing dollars and resources. For example, the Google Analytics dashboard may help you decide that you should allocate more resources to Facebook marketing and less to Twitter. But unfortunately, it turns out that the data marketers are using to make these decisions may not be entirely accurate. Google Analytics will break down your site traffic based on where it’s coming from, meaning it will tell you how many users arrived at your site by directly typing your URL (direct referrals), how many came by clicking on a link in the search results, and how many came from other websites such as Facebook or Pinterest. Pull up your Google Analytics dashboard and look at what percentage of your traffic is driven by direct referrals. This type of referral should account for about 10-20% of your entire traffic. If the number you see is significantly higher, you may have a lot of dark traffic. Dark traffic is any web traffic that is referred to your website from a URL that is hard to track. When Google Analytics spots dark traffic, it groups it together with the direct referrals because it is unable to locate the exact URL from which the traffic originated. Therefore, although direct traffic is supposed to show you how many people are landing on your website after typing in your URL directly, it’s not accurate because it also includes visitors that are referred from unknown destinations. Do you send out links to your website in your email or text message marketing campaigns? Google will probably not be able to track these sources, which means these referrals are considered dark traffic and will be grouped together with your direct traffic. Other sources of dark traffic can include links exchanged between friends in text messages or instant messaging services such as Google hangouts. For example, let’s say you find a funny article on The Onion and share it with your friend through Google hangouts or a text message. If your friend clicks on this link, it’s likely that Google won’t be able to track the source, and will label the referral as direct traffic. How Big of a Problem is Dark Traffic? Should you be concerned about dark traffic? If you’re a marketer, yes. 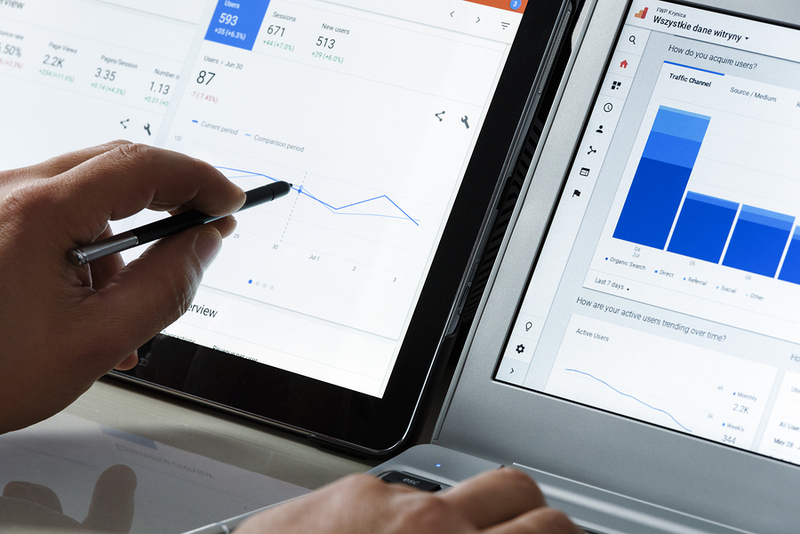 Marketers rely heavily on the numbers they find in the Google Analytics dashboard to make important business decisions, so if these numbers are not accurate, they may not be making the best marketing choices for their brand. For instance, let’s say you spend a lot of time and resources on a huge email marketing campaign as part of a product launch. The email marketing campaign does well, and leads to a bump in sales. But, if Google does not know how to track referrals from the links inside this campaign, you may end up thinking it was a huge failure because there is no data on your dashboard that tells you otherwise. As a result, you may choose not to run another email marketing campaign, which is not the best decision for your business. Where did the visitor find your link? This code should tell you the exact location, such as an email campaign, social media website, or search engine. This code can be used to identify the specific medium where the link was found. Some examples are CPC ads, email, or social media pages. If you want to give your marketing campaign a certain name to make it easily identifiable for you, this is where you would do it. Manually creating these links for every link that you use in newsletters and ads can be time-consuming, but luckily, you don’t have to type each link out. Instead, use a helpful UTM link builder. All you have to do is type in the website, source, medium, and campaign name, and the tool will build the link for you. Google Analytics will be able to track these links, so they won’t lump these referral sources together with your actual direct traffic anymore. Although this will not completely eliminate dark traffic, it will greatly reduce it. Therefore, using these links will allow you to make better marketing decisions that are based on more accurate data. Do you want to drive more traffic back to your website? If so, contact us today to schedule a free consultation where you will learn how we can help you with your SEO and digital marketing efforts.